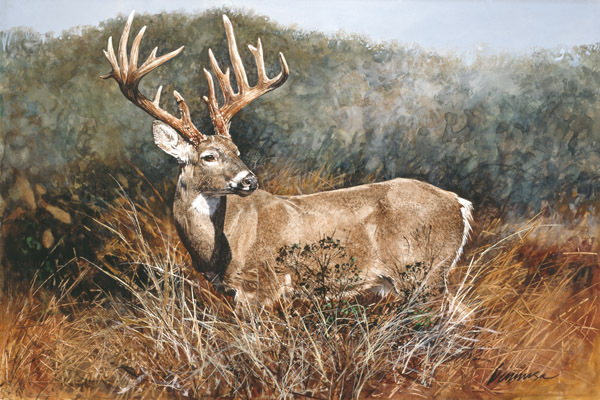 Gennusa lives in the Texas Hill Country, where wildlife abounds. In this image, the iconic whitetail deer displays an amazing pair of antlers. The regal animal, in its guarded stance, perhaps, has caught a scent or an intruder has come to its attention. Once the deer feels at ease, he'll more than likely vanish into the vast field before him.